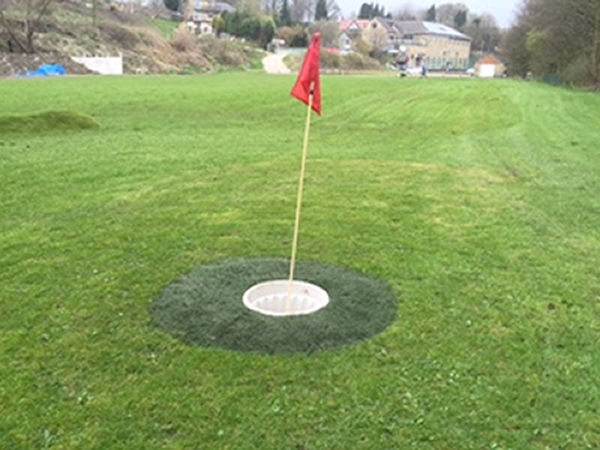 Situated conveniently between Leeds and Wakefield, South Leeds Footgolf is a 6-hole course that is both popular and friendly. Advance booking is recommended to ensure you’re not disappointed. There are four Par 4 holes and two Par 3 holes, and the elevated 6th tee is the highlight of the round with an opportunity for a hole-in-one. Footgolf is an easy sport to try out and understand, incorporating the scoring system of golf with the techniques of football. Being a short course, this is ideal for beginners and families. However, there are ample opportunities for testing your skills and honing technique if you are a more experienced Footgolfer. Simply don a pair of trainers or astroturf shoes and come and give South Leeds Footgolf a try. Staff were very friendly, I took the whole family and it was great fun. Great new additions this year as well with the extra bunkers and new astroturf greens. Keep up the good work guys. Fantastic Venue with friendly staff. I've played this course numerous times and never had a bad experience. I would recommend it to anybody. I'm still yet to win a game though!! !